Are they sisters, friends, multiple generations or just three faces of yourself? 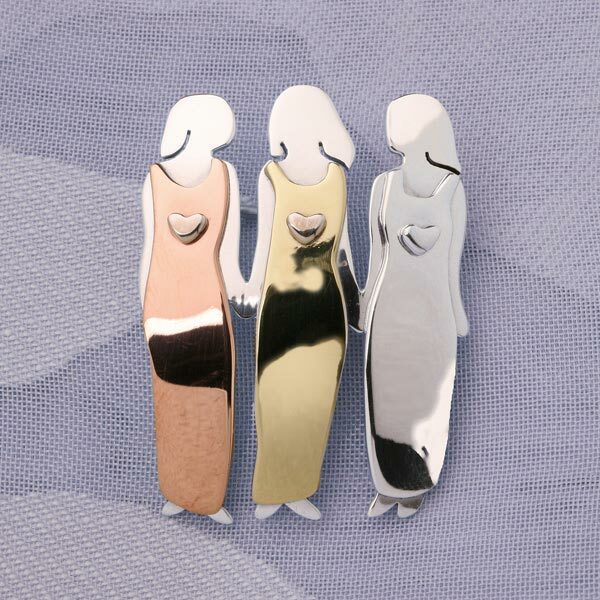 We love the intimate pose as the three women share a secret; beautiful on a coat lapel or holding a scarf in place. Sterling silver, copper and brass. 1 1/4"H.